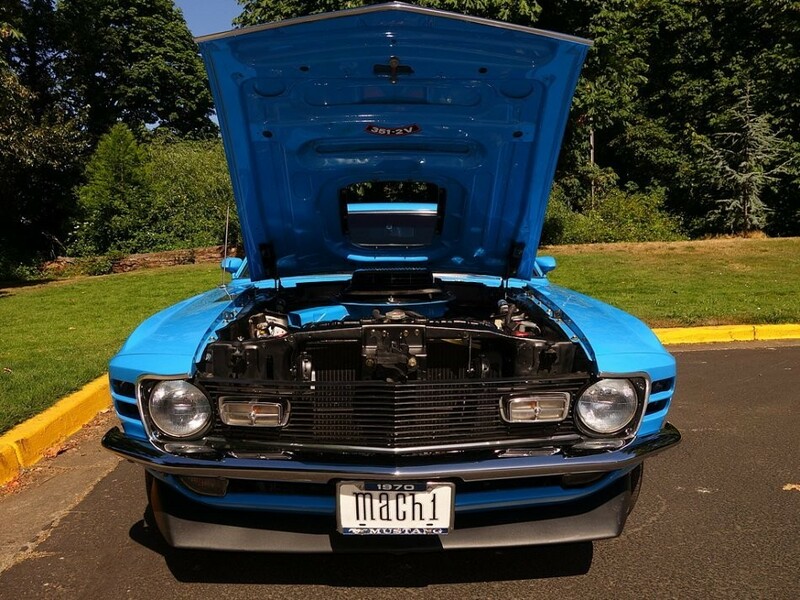 Now available by The Motor Masters is a 1970 Ford Mustang Mach 1 Fastback for sale. 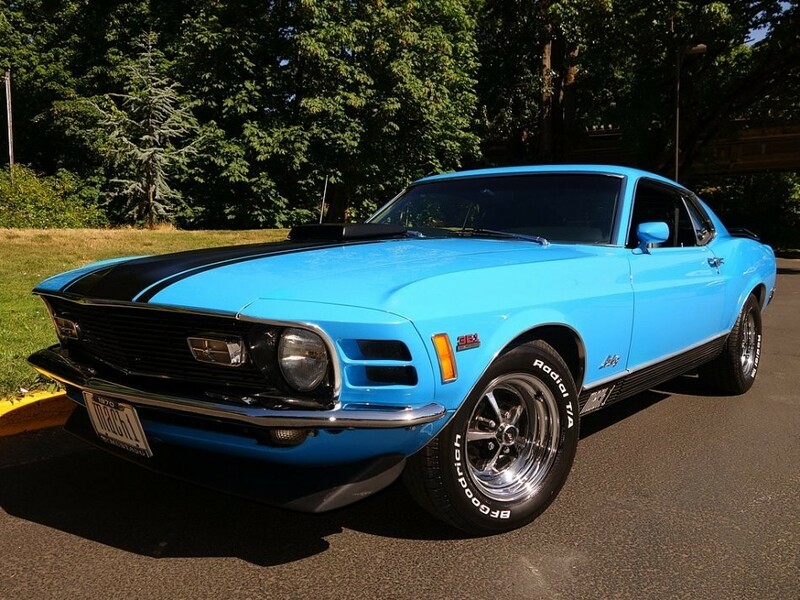 This 1970 Ford Mustang Mach 1 Fastback is a stunner to say the least. 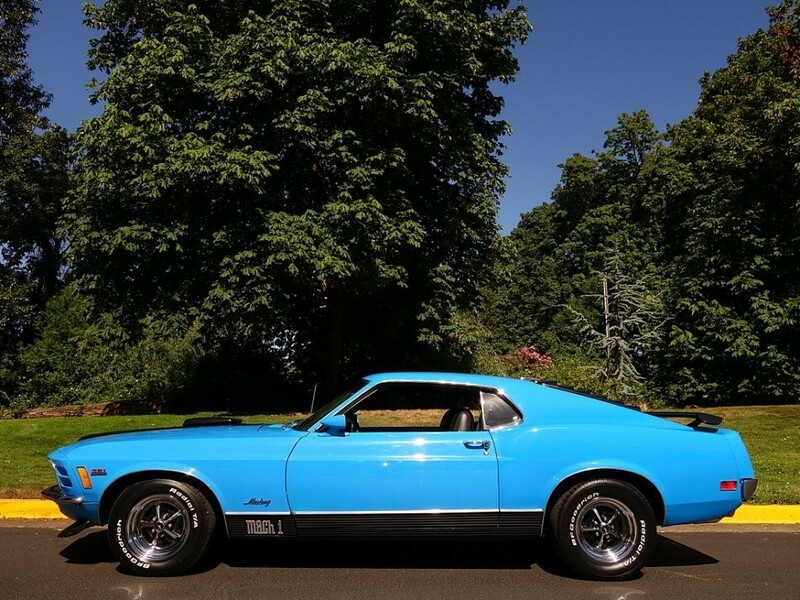 Invest in the stock market if you choose, but I’d much rather invest some money in this show-quality 1970 Ford Mustang Mach 1 Fastback. 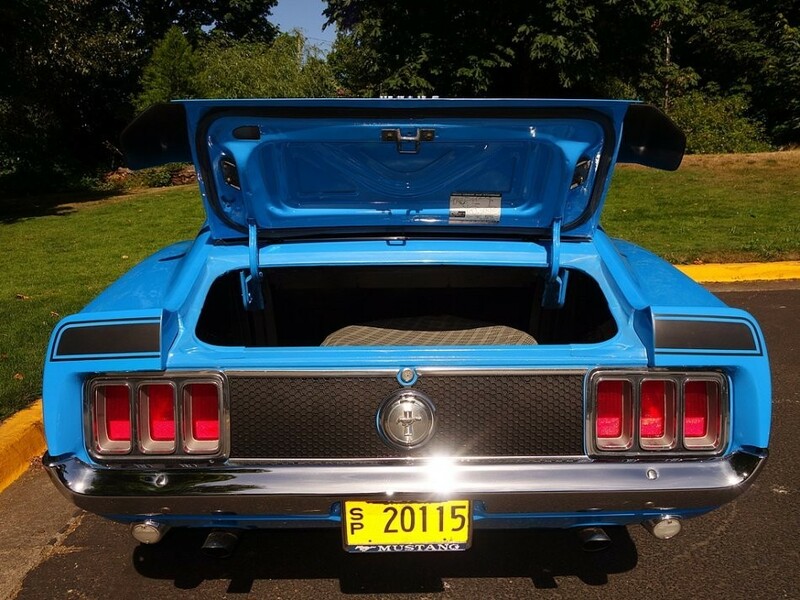 In terms of appreciation, this Mustang offers an awesome (and correct) color combination, and a Marti Report. Just try having this much fun with your personal stock portfolio. 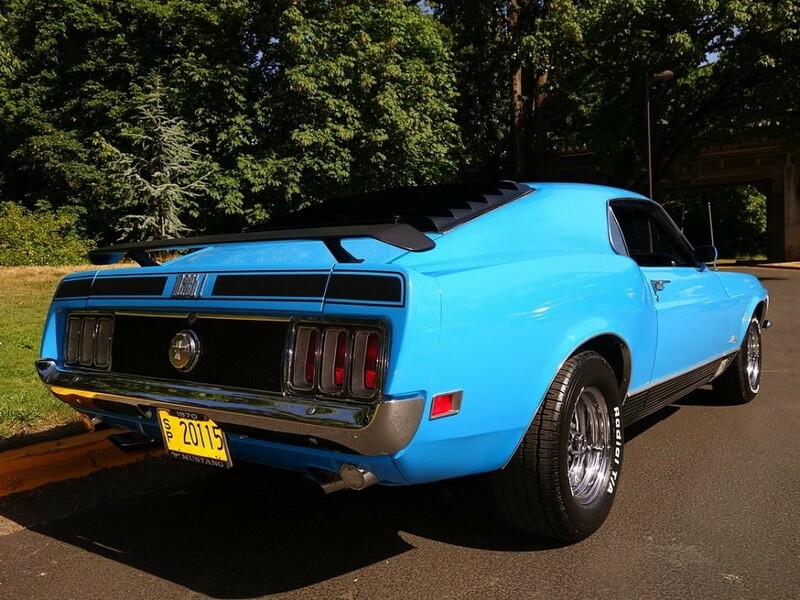 Repainted recently, this gorgeous Grabber Blue Fastback still looks almost like a million bucks. These have been inching up in value Basically every year, indicating that there are more than a few collectors out there who appreciate their good looks and brilliant performance. 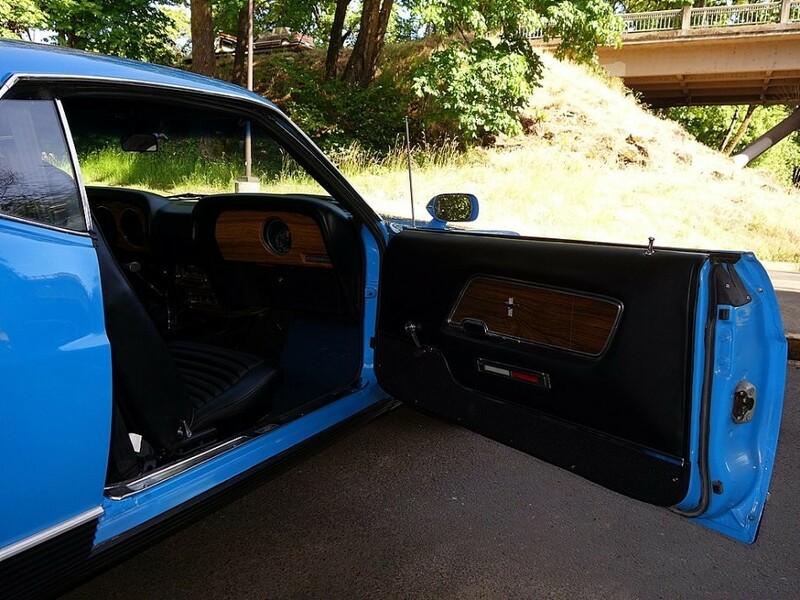 The finish is rendered in the correct blue that has a depth the original finish just couldn’t match, and the satin black stripes with ‘351’ callouts on the hood seem to hover above the surface. 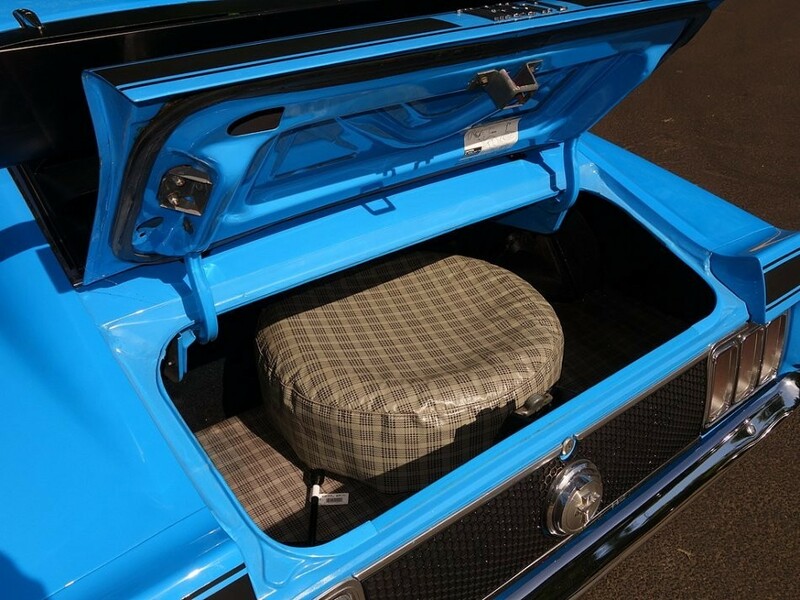 The panel work is quite good, although it’s not to concours standards, which is a good thing since you’ll probably want to drive this one every chance you get. 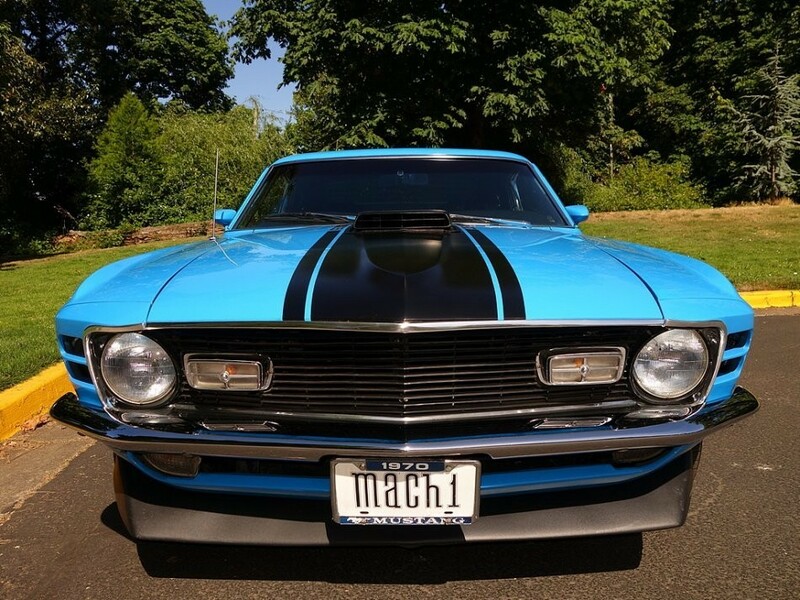 The rocker moldings are crisp, and the spoiler is the same satin black as the stripes, giving this Mach 1 a very predatory look. 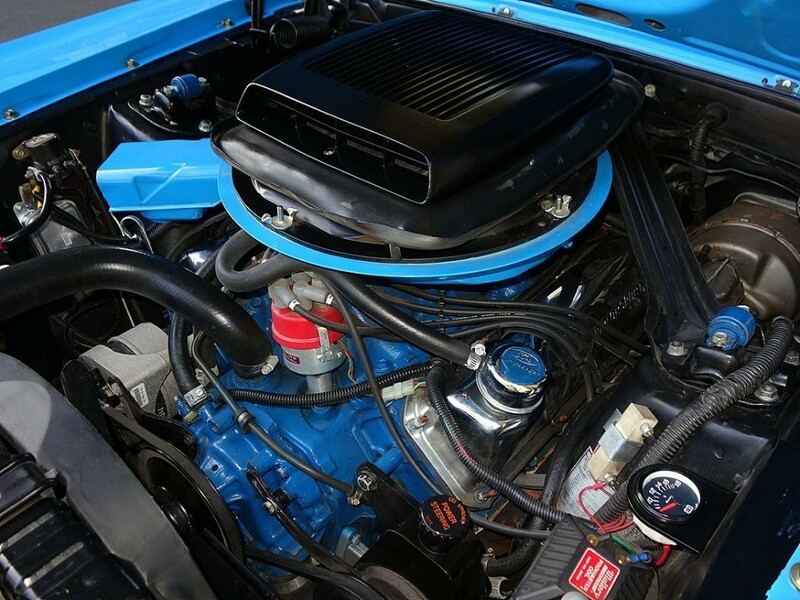 Rust free, finished in the correct, gorgeous factory color of Grabber Blue with Black vinyl stripes and Shaker Hood. 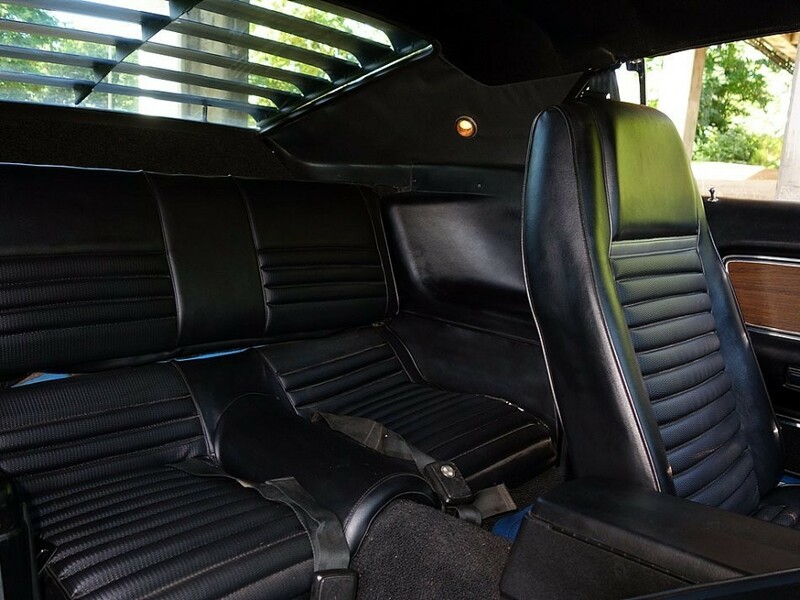 Excellent chrome, glass, and stainless throughout. 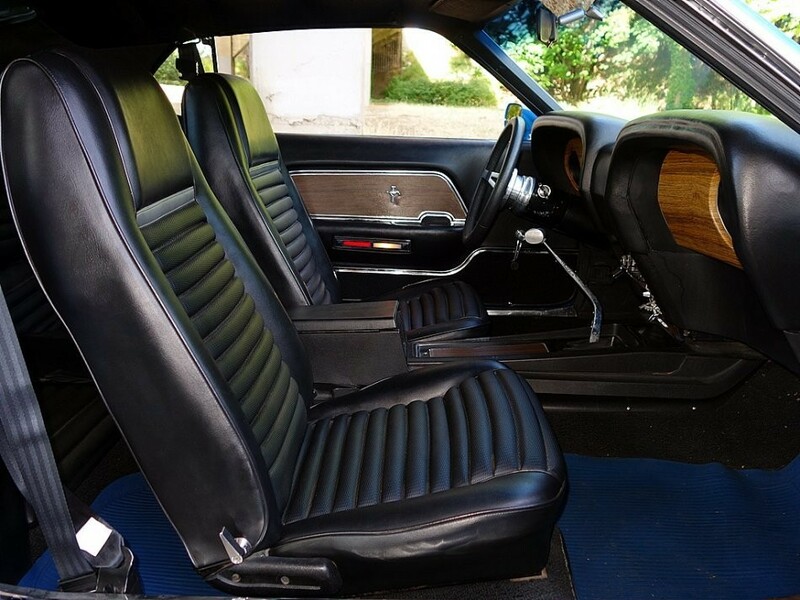 Comfortable to drive with Black Clarion knit/Corinthian vinyl bucket seat interior, Wood Grain Dash, Console, Power Steering, and Power Disc Brakes. 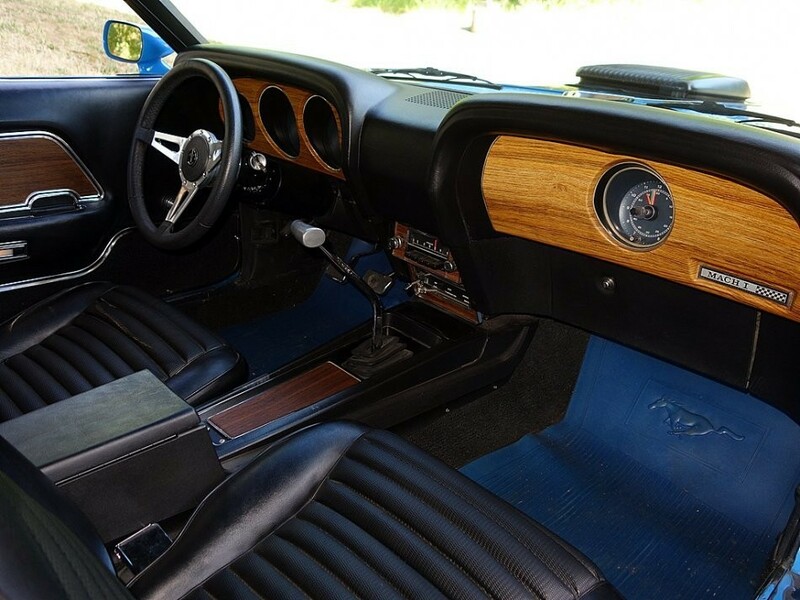 Powered by a strong 351 Cleveland V8 and 4-Speed Manual transmission with upgraded Hurst shifter. 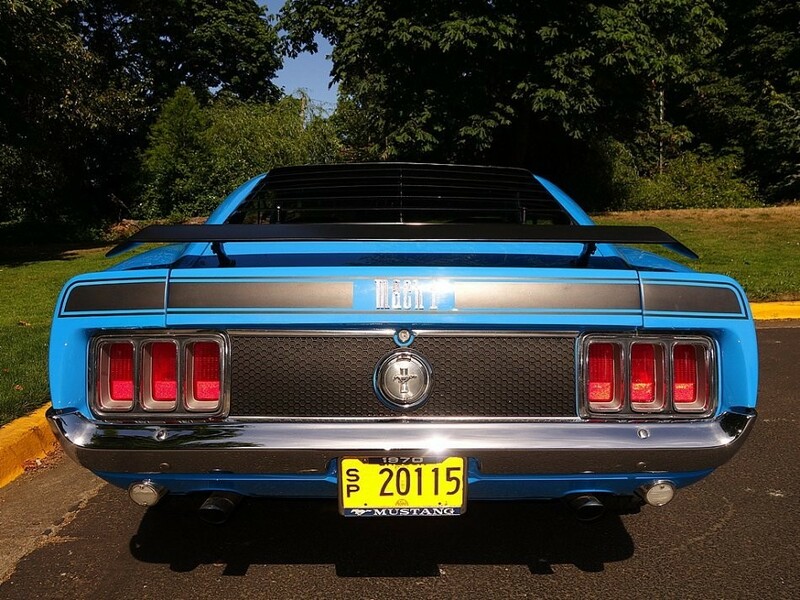 This Muscle Car turns heads, draws a crowd, and gets compliments everywhere we take it. Sale includes Marti Report. 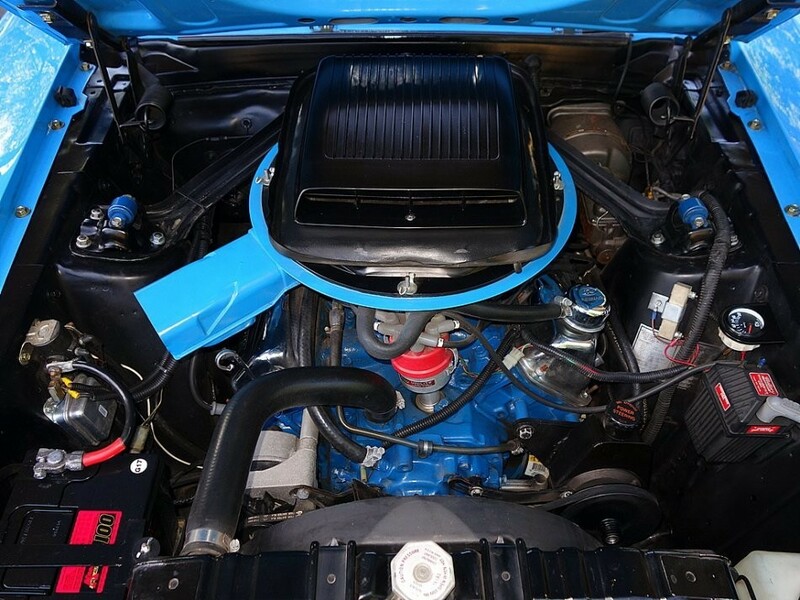 Rare, factory 4-speed, high-impact colored Muscle Cars are great investments!